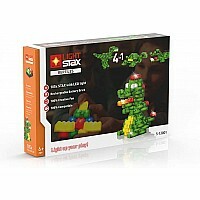 An all-new creative way of infusing light into the world of bricks. 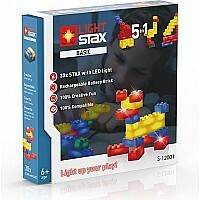 These smaller sized blocks glow when stacked with a rechargeable power brick. One power brick lights up hundreds of SYSTEM bricks via USB power. Features all new Sound Activation mode! Power brick picks up on noises or vibrations. 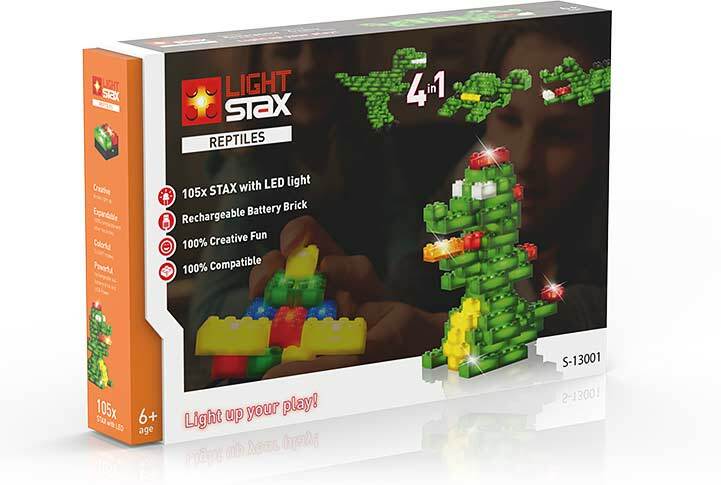 Tap the table, play music, or speak, and the SYSTEM bricks blink in rhythm with you! 100% Compatible with LEGO(r)ﾠblocks. 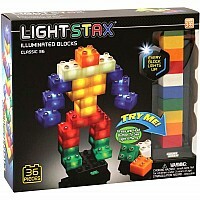 Brand: Lazy Dog / Light Stax. Measures approximately: 13.00 x 8.00 x 2.00 inches..